Passion is what drives us to serve children who need developmental assistance. Joy is what we feel when we witness the results of our hard work. Here at Surestep, enriching and transforming lives through compassionate care and innovation is at the core of everything we do. It’s our mission. Even though it’s easy to stay focused on this mission considering the rewarding work we do, we also understand that we can only make an impact with the dedication of our employees. That same passion to change lives also applies to our team members. We strive to provide our employees with a safe, inclusive, and socially responsible workplace that encourages personal growth and success. Surestep is a company filled with amazing people who joined together to change the lives of children worldwide. It’s our culture. We believe this culture guides our decisions and actions at the unconscious level. As a result, it has had a profound effect on Surestep’s well-being and success. 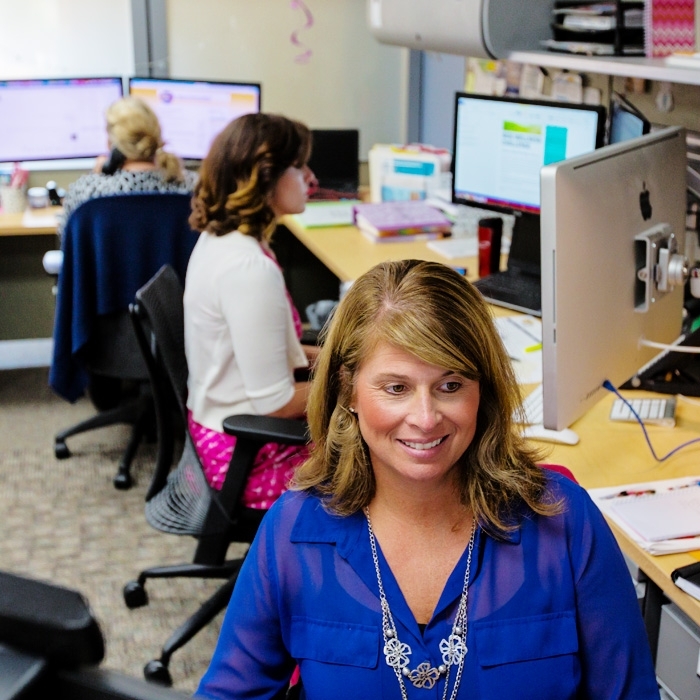 You’ll experience our culture when you interact with our exceptional customer service team, when a child wears our superior product, and when a child encounters life-changing outcomes. For our employees, our culture is demonstrated through providing warm and inviting work and break spaces, to week-long company retreats, and our very own version of the “Oscars” where colleagues nominate each other for awards based on the company’s core values. Our attitude attracts people who have the desire to provide awesome products to kids who need them. When the kids are happy, so are we. We are proud to say that the Surestep custom product line is manufactured right here at our headquarters in South Bend, Indiana. Because remarkable quality is part of our core values, we take our technology very seriously. Investing in the latest technology allows us to fabricate products with highest levels of quality, materials and customization. 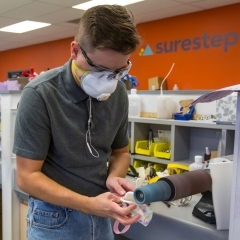 Surestep was the first orthotic manufacturer in the United States to use a 7-axis carver, which dramatically improves the fit of the product. Our 40’x60’ gait lab, equipped with an electronic gait analysis system using pressure mapping and video, gives us the ability to conduct case studies to demonstrate and prove the long term benefits and outcomes of wearing our products. We take pride that our investment in technology directly effects each child who wears a Surestep device.